"Fantastic Beasts and Where to Find Them" story, characters and photos © Warner Bros. This'll likely be the next film I see. Out in a couple weeks. I want to see this. SO BAD. 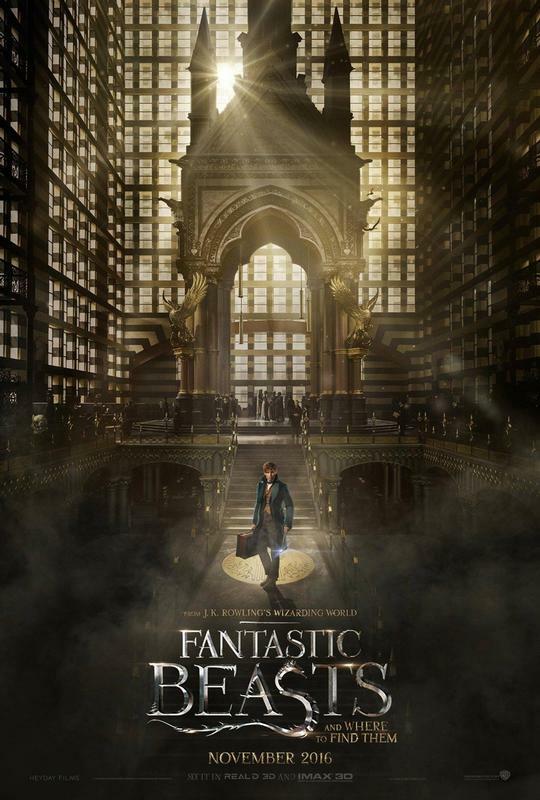 My hope for this is that it runs out to be like magical Indiana Jones with Newt Scamander travelling the world and going on adventures unrelated to each other. It doesn't need to be another epic saga. I'll probably watch this eventually just because of Eddie Redmayne. I wonder what funny hat he'll pick out. The cgi was really good but obviously made for 3D which i dont think would have been worth it. Holding it to hp standards it kinda fails but as its own thing its alright. I dont know that its 6 movies worth of stories but we'll see. Oh and it was totally "what if harry potter was pokemon"
It was ok to watch. It wasn't as great as I have hoped for. As a Potterhead, it was in some ways, disappointing. Though I did like the scene when they are in the suitcase for the first time and you see all the Fantastic Beasts, best scene in the movie which made it more worth it. I am excited the Dumbledore will be in the next one. Planning to see this on Saturday with friends. This looks really good from the previews. Although the title is what drew me and my one friend in. We call a former friend of ours The Beast. Maybe we'll see her in the movie! Saw it tonight. Very much enjoyed it! Quite enjoyable but imho not as great as a majority of critics seems to find it. Great casting and acting, although I found the characters themselves a bit "flat". I would be surprised if Grindelwald was not to appear in any of the follow ups. Loved it, went in expecting it to be completely different from the HP films so I wasn't disappointed. A bit slow in parts, yes, but overall, I enjoyed it very much. Can't wait for the next 4! like sure grindelwald changed into colin farell, but kept the same exact hairdo? and why the f-ck wasn't he using the elder wand? Why would everything be universal?